To start fresh in 2019 and focus on activation and adoption. After providing 5 Steps to Successful User Onboarding, we went ahead and asked the experts to provide their user onboarding tips to work on this year. It’s extremely important to know what the industry experts are talking about it in 2019. Userpilot focuses on User Onboarding and Product Adoption, hence we thought about adding the experts who are consulting around these topics. These experts have several years of experience in the SaaS industry and are consulting many other companies regularly to improve their user experience and customer delight. Despina has interviewed more than 40 companies on User Onboarding and presented the results at SaaStock. She’s also writing a book about this topic. The quote below is a short summary of her upcoming book. “For the many, user experience starts within the product. For those who get to dig a bit deeper, it starts on the solution’s website where a prospect is able to learn more about a product offering. Both approaches though, are wrong. User experience starts the very first moment someone comes across your brand- not even your product! Whether that someone sees an ad, reads a blog post or hears about your offering via word of mouth. Instantly an impression is made. Of course, that varies depending on the source of the information, but all in all, this is when someone, even subconsciously, forms an opinion about your product. This is where your user onboarding journey begins! According to Wikipedia, User onboarding is the process of improving a person’s success with a product or service. This term is often used in reference to software products, and it can be done in a manual or automated way. It is the process through which new software is designed such that new users are provided and acquire the necessary knowledge, skills, and behaviors in order to become “up and running” and effective users of a website, app, or software service. That term may be somewhat correct but is not complete. 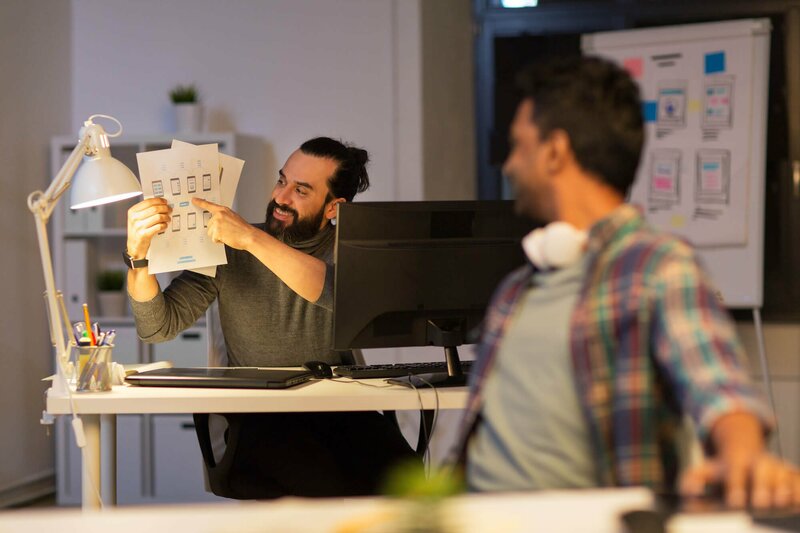 As the SaaS industry evolves user onboarding goes far beyond than just learning a product’s capabilities or that first value derived in the activation stage. Onboarding, if optimized, is the only mean which will enable your users to become better in the jobs they have hired your product to do, yet more educated in levels that go beyond your product’s capabilities. More about Despina: Highly experienced SaaS consultant with a focus on user experience & user onboarding practices. Despina has 5 years experience in the SaaS industry and while she is originally coming from inbound, she realized early on that her calling was related to funnel optimization (from activation to referral) and user experience. She recently launched her remote agency and since then she has embarked on a mission to map and reshape the user experience practices delivered by SaaS vendors. You can find her on LinkedIn and Website. She’s also writing a book on The User Onboarding Funnel….in the product-led era. Wes is a subject matter expert and authority on Product-Led Growth and he is going to run a Product-Led Summit at the end of January 2019. He consistently helps businesses drive millions in Annual Recurring Revenue (ARR) through applying his methodology which you can learn more about in his book on Product-Led Growth. Wesley Bush is the founder and president of Traffic Is Currency which specializes in helping subscription businesses launch and optimize free trial and freemium models that convert. You can find on him LinkedIn or his website. Val is known for her email onboarding teardowns and consulting. She’s been helping SaaS companies for several years. She’s the industry thought leader to make your email onboarding lovable. I wanted to get her insights on this topic specially because she’s just so good at it. – How do your customers define success? The other thing to think about with email is that, while you can always have a CTA in mind, the goal of an email isn’t necessarily to get them to click through and use the app or take that specific action right away. Onboarding is an awareness campaign. It’s retraining their brain to think about your app in relation to the problem they’re facing. Since most people are reading email on our phones (read: while watching Netflix, out grabbing coffee, in the bathroom, etc.) they’re nowhere near a computer ready to take action installing JS or interfacing with your app. So that changes the goal of the emails, right? Val Geisler is an Email Onboarding Specialist. You can find her on Twitter. When it comes to UX writing, Yuval’s is the first person who comes on top my mind. He also runs a Facebook group on UX writing and he talks about the future of UX writing in this article. Yuval is also an amazing UX writer and he runs a blog UX Writing Hub. You can find on him LinkedIn or UX Writing Hub. Jason has been helping many software companies with UX designing. He runs a UX Design Facebook group as well. He’s sharing industry knowledge and best practices there. You can find him on Twitter, LinkedIn and Facebook. Tony is a customer activation and onboarding specialist over the last 13 years working with startups and enterprises he has learned and developed techniques that help him create effective user onboarding and product adoption funnels. I follow his blog religiously on user onboarding topics. Tony is a user onboarding & activation specialist and he is consulting many SaaS companies on this topic. You can find him on Website and LinkedIn. Pascal has more than 8 years of experience in SaaS and User Onboarding with Userlike. Userlike enables on-site communication between website visitors and the service team. His efforts on helping user communication and onboarding with his customers make it relevant for us to know his opinion. “One onboarding trend I think we’ll see more and more of in 2019 is that of chatbots. Chatbots have been tremendously overhyped, but this is one area in which they can definitely provide value. 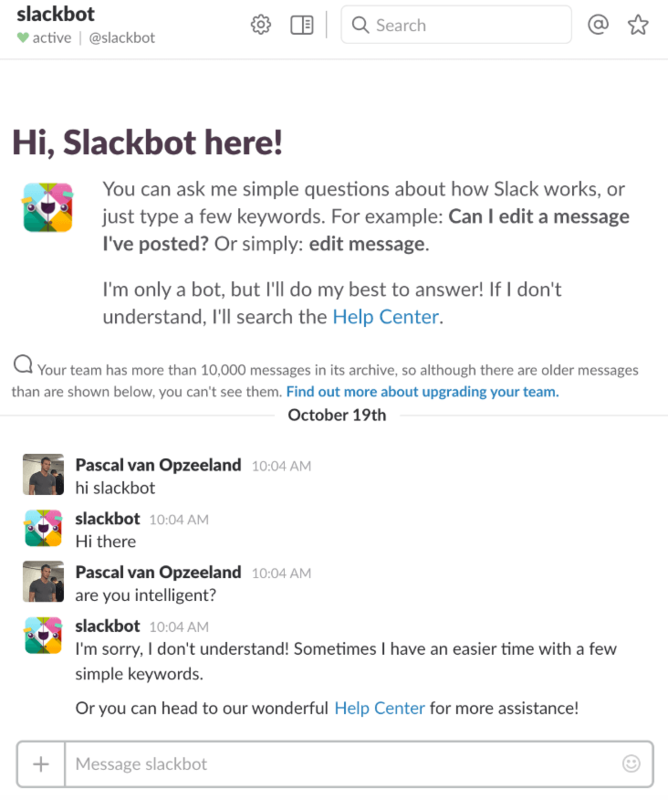 The prime example of this is Slack with Slackbot. Instead of a boring wizard, Slackbot guides you through the workings of the product in an interactive way. What’s more, it has an anthropomorphizing effect. It’s an actual character with a personality that is guiding you, and it can stay with you throughout your entire customer experience. When it comes to emotional bonding, that is much more powerful than a neutral wizard or video. When there is a new feature out, for example, the chatbot can tell you about it instead of a traditional update post. Pascal is a marketing director at Userlike. As a live chat specialist, he is obsessed about customer experience and engagement. You can find him on LinkedIn. Wojtek has UX writing and content designing courses for software entrepreneurs. At GetResponse, together with his team, he is re-imagining product-to-people communication, onboarding, and education all the time. He’s been an instructor, and author on UX writing as well. Get your user onboarding personalized. Help new users experience what your product can enable them to do. Conversational onboarding will be the new trend. Build relationships with user onboarding than get few clicks. Focus on user goals, respect users time and make your users succeed with your product. User data analytics to personalize the onboarding and the funnel. Create a unified agenda and take advantage of the product’s analytics. Which one of these tips you will implement in 2019?